Customer data serves a lot of different purposes, but did you know you can use it to generate more leads? Believe it or not, leveraging data to get more roofing leads is a very effective strategy for your business. 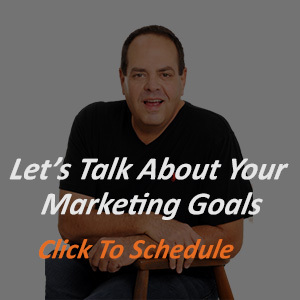 Taking an in-depth look at your metrics will greatly assist in this process. Wondering how to get the most from your customer data and generate more leads to your roofing business? Below, we’ve put together a helpful guide to collecting and leveraging data that can make a huge difference in the success of your business. Of course, if you are going to go to the trouble of collecting in-depth data on your customers, you should know what to be looking for. Collecting irrelevant data like favorite food or summer vacation spot isn’t really going to help your roofing business. One way to gather data is to create buyer personas. You should understand a few caricatures of the most typical types of people who purchase your services. Having stereotyped characters that represent all spectrums of your typical customer is effective because you can develop selling strategies based on what will work for them. You can think of these personas as roadmaps. They will help you navigate through your prospective clients’ interests, dislikes, and habits. If you are aware of your potential customers’ pain points, you can create targeted solutions. By solving the problems they have–maybe even before they know that they have them–you’ve created an obstacle-free path to purchasing. This is the sort of data you should be looking to collect. Of course, you can gather the basics on user location, equipment type, etc based on tracking website visitors. This information is very useful. However, you should also look to more in-depth data. Things like your clients’ job, income, housing preferences, hobbies, etc can be very helpful in putting together effective marketing and sales campaigns. If you know your customer is a surgeon but also a big spender when it comes to his hobbies, chances are he won’t have as much available for roof repairs as you originally thought. Maybe go a little lower with his quote than you initially would have. To use the data you’ve gathered effectively, there are a few strategies you should stick to. For example, you’ll want to segment your audience. It makes no sense to send a “Time for roof repairs?” email to someone who has just had their roof replaced. In the same way, a “How did your home fare in the storm?” email will not apply to someone who lived states away from the damage. Segmenting your audience based on age, location, income, and other demographics is an important way to use it in a way that works. Using all of this information to inform the rest of your business strategy is essential. For example, when it comes to SEO and keyword research, customer data is of the essence. You are much more likely to score a lot of traffic with keywords like “roof damage from hurricane” if you are gearing it toward a Florida audience than if you are gearing it toward a Colorado audience. In the same way, “roof caved due to snow” will do great in colder places and will not be searched often in Florida. In addition, a great deal on a cosmetic roof renovation might be picked up by a wealthy family who has the spare change to make visual improvements. On the flip side, a family that is just struggling along will hardly be able to afford repairs, much less redo their entire roof just to try out a new look. You must know the basic important facts about your audience–and use them–so that you are not wasting your data and your time. Why Use Customer Data to Generate Leads? So you’ve gathered all the right data and you know how to use it, but why should you? Isn’t all this work more effort than it’s worth? Read on for reasons why you should use customer data to generate leads for your roofing business. A recent study revealed that 42 percent of sales reps do not feel that they have the right information before making a call. In the same vein, the results of another study showed that 35 percent said the biggest barrier to lead generation success is the lack of quality data. This is astounding! These are the people who are out there to get roofing leads for your company. They should be well equipped with all the information they need–and then some–before placing a call. Customer data is essential for the successful implementation of any marketing strategy. With the right data, you’ll be able to sell your roofing products and services much more effectively. The entire point of generating roofing leads is to make sales. Being able to use data you have collected to target specific people at specific points in their life will lead to far more accepted quotes in your inbox. Sending the perfect message at the perfect time may seem like a far-off dream. It would be nice to do because selling would be a snap, but it just doesn’t seem possible. But with tons of customer data that you are analyzing and using correctly, it’s not a pipe dream at all–it is an easily attainable reality. Have Questions About Roofing Leads? We have plenty of blog articles that help explain the roofing business and provide some best practices, so feel free to take a look around. However, we are also happy to help however we can. Our case studies may also be of assistance to you. 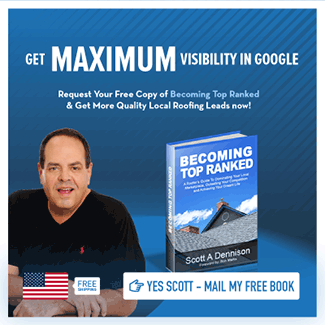 These provide examples of previous successes with things like AdWords lead generation, roofing website design, and other tips for dominating the roofing marketplace. If you have questions about generating roofing leads or how to sell effectively, contact us today.